January 29th, 2018 – The Cleveland Indians will make a change to their lineup in 2019 as they say goodbye to Chief Wahoo. 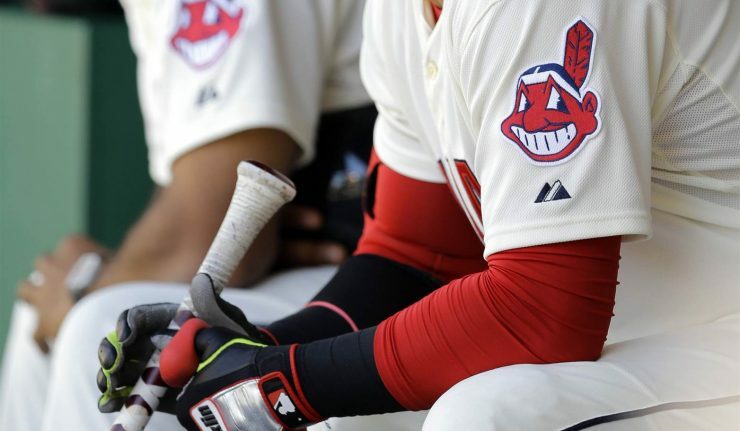 The logo has been used on the Indians’ uniforms since 1948 but has become a heated debate in recent years between those who find it racist and outdated and those who have a nostalgic attachment to the big-toothed, red-face mascot. Rob Manfred, the commissioner of baseball, and the Indians organization had been in talks for several years trying to resolve the issue but made the official announcement today. “Major League Baseball is committed to building a culture of diversity and inclusion throughout the game. Over the past year, we encouraged dialogue with the Indians organization about the club’s use of the Chief Wahoo logo. During our constructive conversations, Paul Dolan (Cleveland Indians owner) made clear that there are fans who have a long-standing attachment to the logo and its place in the history of the team,” Manfred said in a statement. While fans will still be able to purchase merchandise showcasing Chief Wahoo at the team’s gift shops at the stadium, they will not be available on MLB’s website, and all team uniforms, banners and signs will lose the logo when the 2019 season rolls around. In 2014, after the Cleveland.com editorial board published their support for benching Chief Wahoo, the Indians designed a simple, block “C” logo for some of their merchandise. The team, under president Mark Shapiro at the time, also removed several signs using the Wahoo logo at Progressive Field. This pushback hasn’t lived completely online or at the ballpark. Every opening day finds Native American protestors outside the stadium fighting to have the name and logo retired without fanfare. In 2016, indigenous Canadian activist Douglas Cardinal decided to use the Indians postseason status to legally force the team to stop using both the team name and logo during their games in Toronto. Ultimately, a judge denied his petition, but that litigious action was a signal that this issue was far from over. The Cleveland Indians aren’t the only sports organizations to grapple with team names that don’t sit well with people in 2018. The Atlanta Braves have also come under fire for their name and “Tomahawk” chop chant performed during games, and the NFL’s Washington Redskins have long been labeled an inappropriate team name. So we’ve reached the point where, change or no change, the discussion turns to political correctness. The official Twitter account for the Cleveland Indians received mixed responses to the announcement and even got some super serious new logo suggestions. Y’all always tryin to bring politics into this… Think about things on a more human level. If it’s offensive to actual Native Americans, the least we can do is try to understand them. If there was an offensive white mascot you’d be mad too. The PC police have prevailed. The holder of the wallet has spoken. But Chief Wahoo will live forever. Pretty odd that you are still keeping the logo rights. You won’t support Chief Wahoo but have no problem still making a profit on it!?!?!? Don’t you see how bad that looks!?!? What do you think of MLB’s decision to lose the Chief Wahoo logo in 2019? Was this the right call or a big swing and a miss? Give us your thoughts!